Hi friends! Are you ready for Halloween? 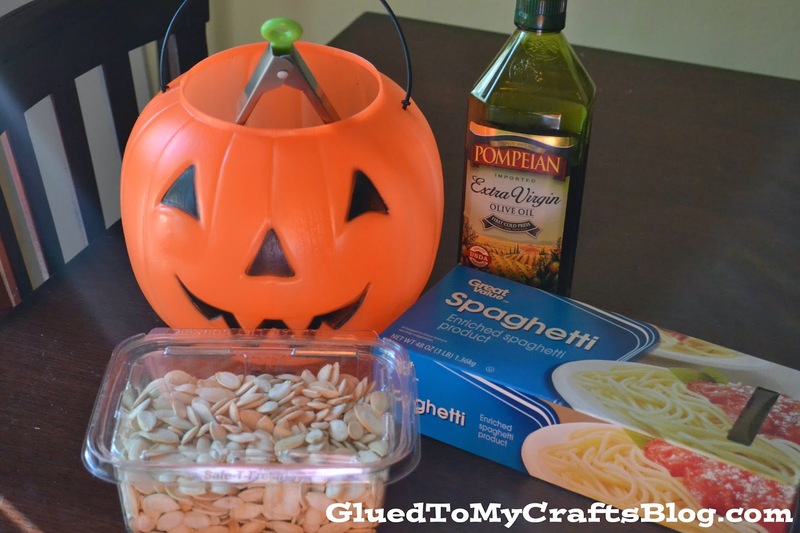 We are gearing up for a ‘spook-tacular’ month at Glued To My Crafts and I hope you are as excited as I am! My calendar is filled with tons of Halloween crafts so be sure to check back in the coming days! * First cook your noodles as you normally would. Drain. * Run hot noodles under cold water for a few minutes, to cool them down. Drain. * Add 1-2 tbsp of oil to the noodle mixture. 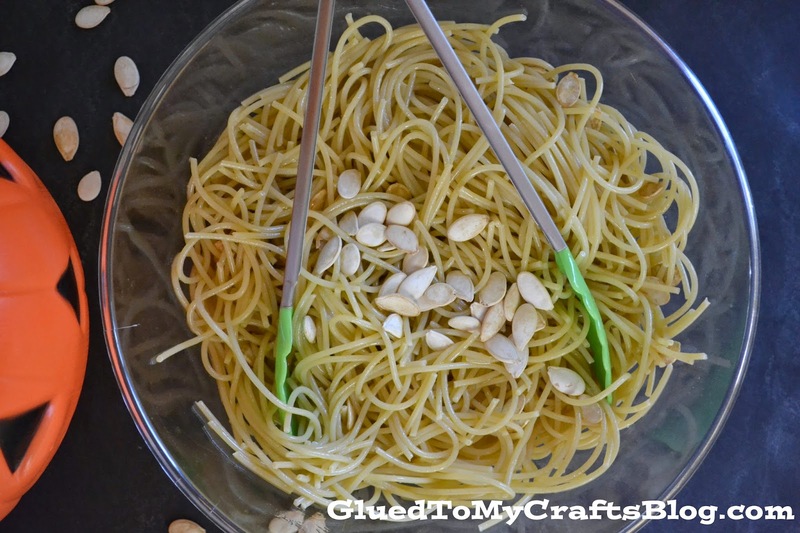 Mix until noodles are well coated and not sticking together. 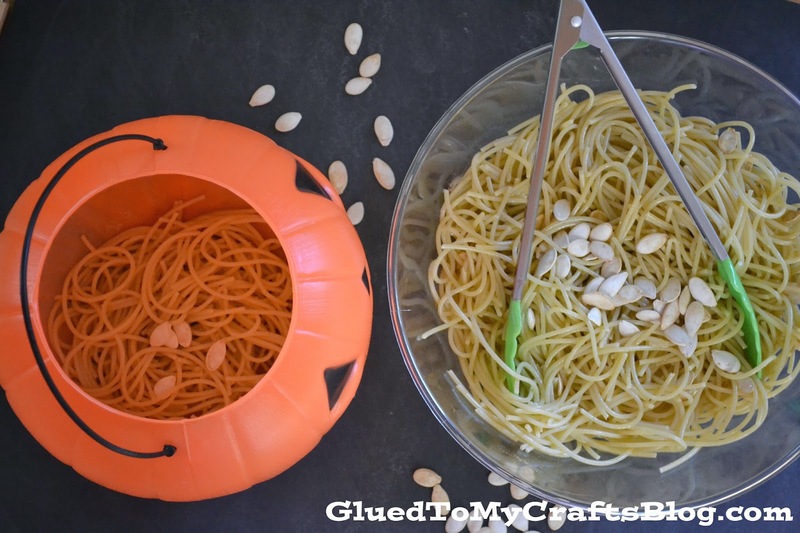 * Throw some pumpkin seeds into the noodle mix and transfer the mixture to your plastic pumpkin. 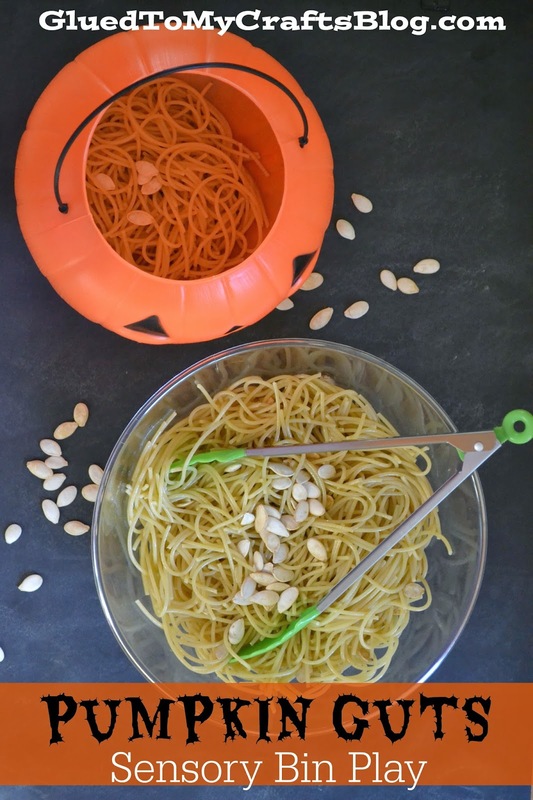 * Now grab some tongs and let your child play with their “pumpkin guts” in the plastic pumpkin. * Discard when done playing.